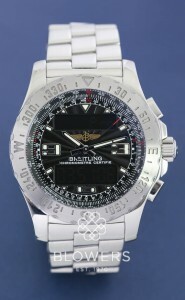 Swiss luxury watchmakers, Breitling, are known for their watches of style, purpose and action. 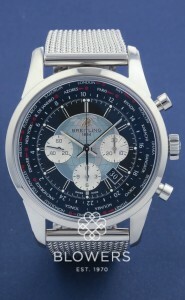 At Blowers, we stock a wide selection of Breitling watches including the Chronomat, Colt, Transocean, Navitimer, and Avenger. 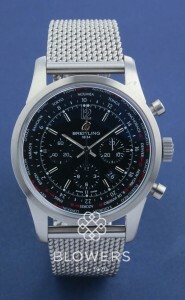 All modern-day Breitling models, both mechanical and quartz, are certified chronometers, independently tested by COSC (The Official Swiss Chronometer Testing Institute). 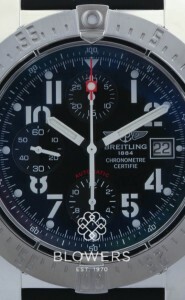 With strong ties to the world of aviation, Breitling’s history dates back to 1884. 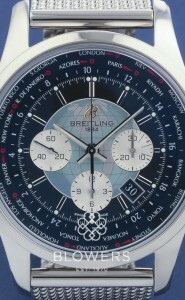 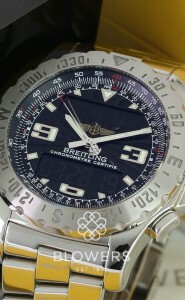 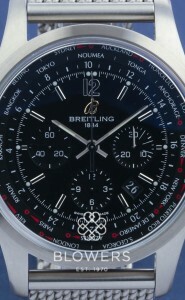 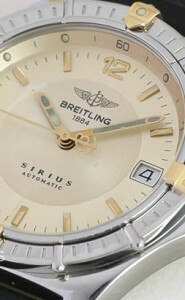 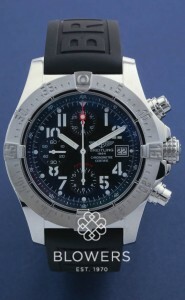 At Blowers, we have a range of pre-owned Breitling models available. 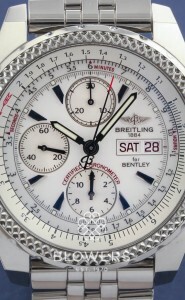 We service all our watches to the highest standard, where necessary, and protect your purchase with a minimum 1-year warranty. 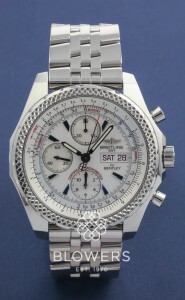 Every model advertised on our website is physically available at our Hull Boutique or available to view by appointment at our Mayfair office in London. 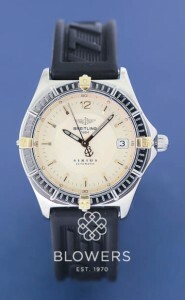 0% finance available.